Caledon, Ont. 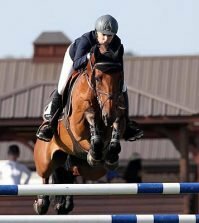 – The United States Eventing Team finished a stellar week of competition at the 2015 Pan American Games held at the Caledon Equestrian Park in Ontario, Canada. 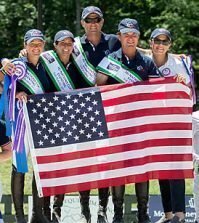 Superlative efforts by Philip Dutton, Lauren Kieffer, Marilyn Little, and Boyd Martin resulted in a Team Gold medal and a berth at the 2016 Olympic Games. Adding to their accolades, Little was awarded the Individual Gold medal. 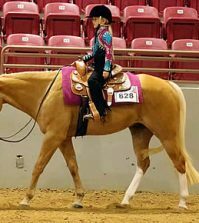 With Brazil at the heels of the U.S team, all eyes were on Little as she entered the ring on Raylyn Farms Inc. and Phoebe and Michael Manders’ fiery mare, RF Scandalous. Little was in second place going into the stadium phase adding to the pressure to perform. 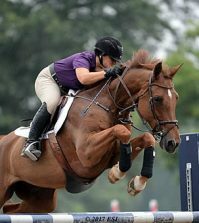 With a lifelong background in show jumping, Little mastered the course perfectly. 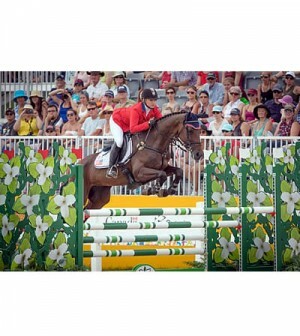 With the leading Brazilian rider dropping a rail at the last fence on course, Little was secured of an Individual Gold.